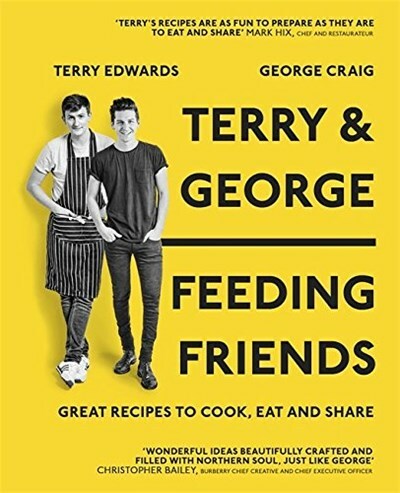 Terry & George's legendary pop-up events are all about bringing people together to enjoy good friends and make happy memories. They have been described as 'Britain's most fashionable foodies' (The Times). Inspired by British ingredients and culture, their pop-up restaurant company Check On (www.checkonpresents.co.uk) has created spectacular sell-out events in venues across London, Manchester, New York and Hollywood. ...followed by a pudding of Eggs and Soldiers (eggshells filled with crème brulee, mango jelly and accompanied by shortbread soldiers for dipping). Terry and George's food is all about classic British dishes with a twist. This is their first book and it contains over 100 original recipes, including signature dishes such as George's Marvellous Medicine and Shell Fish & Chips. This is food made for sharing and enjoying at home. Good times guaranteed.